Many thanks for your photograph Betty. 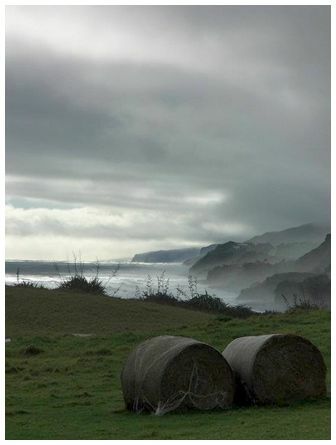 It is the first one we have received from Norfolk Island - a favourite place of mine. JMcG. 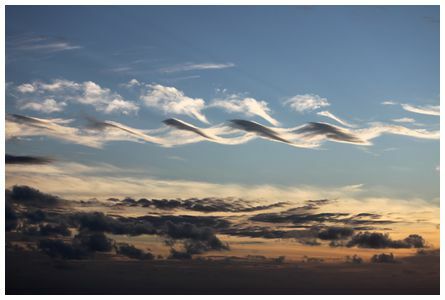 'Timaru sky on a still nor'west day at 10:15 on 7 November 2011. 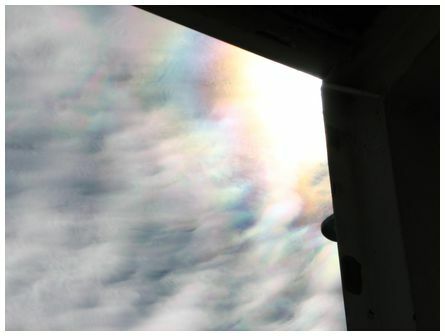 Iridescent clouds persisted for much of the morning. Canon S2 MF. Great site' wrote Jane. 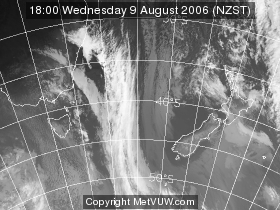 'Woke up on 13 December 2010 morning looked out of window seeing clouds and rain leaving Wakatipu basin. Decided right away and drove up Remarkables gravel road to capture this beautiful and jaw dropping view. 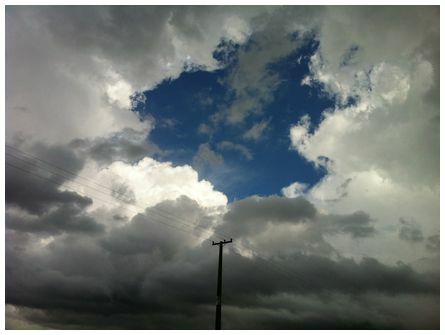 Stitched panorama of five photographs. Love your website!!' 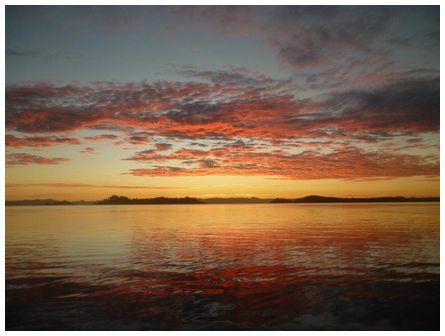 wrote Jan.
'Sunrise, Man O'War Bay, eastern Waiheke Island on Saturday 12 November 2011' wrote Brian. 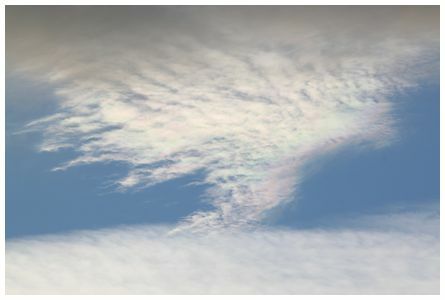 'Hi James, a nice iridescent cloud over Paraparaumu taken with a Canon EOS 500D. Taken at 12:20 on 6 November 2011' wrote Bob.